Along with a pair of sales on PS3 and PS Vita games, there are more than a few new pieces of content to download this week. The PlayStation 4 gets the Bomberman-esque Basement Crawl along with Thief. 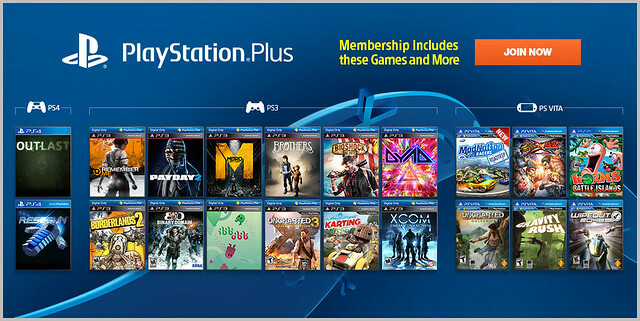 PS3 owners can grab Pac-Man Museum, Castlevania: Lords of Shadow 2, Tales of Symphonia Chronicles and Thief as well. PS Vita releases are a little thin this week, but if you into mahjong, there’s always Mahjong 2 World Contest. 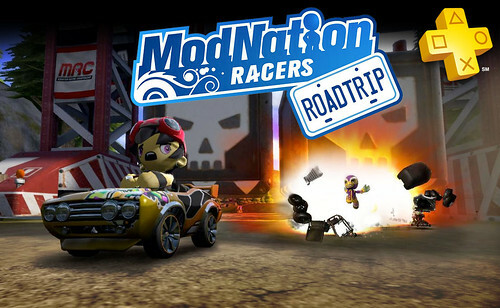 PlayStation Plus subscribers get ModNation Racers: Road Trip for the Vita for free. Check out all the content, new apps, sales and whatnot below. You are Garrett, the master thief. Step into the silent shoes of Garrett, a dark and solitary thief with an unrivalled set of skills. The most challenging heists, the most inaccessible loot, the best kept secrets: nothing is out of your reach. The city is yours for the taking. Sneak through the streets, infiltrate heavily-guarded mansions and lurk in every dark corner… unnoticed and unsanctioned. Enter the basement, explore dark, sinister arenas and be at one with the insanity. Bomberman inspired mechanics bring party games to the next generation level. Staying alive won’t be easy. The only way to survive is to become death itself, crushing all opponents. Fight with, or against your friends in a intensive, packed with action online and offline game modes. And remember, because of the horror-based graphics and themes, it’s best if you don’t play this game alone in the dark. You never know what might be hiding behind you. The game Batman: Arkham Origins features an expanded Gotham City and introduces an original prequel storyline set several years before the events of Batman: Arkham Asylum and Batman: Arkham City, the first two critically acclaimed games of the franchise. Taking place before the rise of Gotham City’s most dangerous criminals, the game showcases a young, unrefined Batman as he faces the defining moment of his early career and sets his path to becoming the Dark Knight. The movie Batman: The Dark Knight Returns: Deluxe Edition (plus Bonus Features) features the sweeping saga of rebirth, revenge and redemption from the chronicles of the DC Universe. Now, for the first time, witness the legend of The Dark Knight Returns, presented as an over two-hour unabridged and seamless animated feature. Experience the complete Tales of Symphonia adventure like never before with Tales of Symphonia Chronicles. The original Tales of Symphonia series has been remastered with enhanced visuals, additional content and a dual audio track including both English and Japanese voices and the original Japanese theme songs. Follow Lloyd and the ‘Chosen’ Colette as they embark on the Journey of Regeneration, a quest to save the world. The original role playing classic returns with remastered visuals, additional content and a dual audio track including the original Japanese voices and theme songs. In the aftermath of the world regeneration, a new conflict awaits. A young timid boy, Emil, confronts the heroes of the past to save a world on the brink of destruction. He pledges himself as the ‘Knight of Ratatosk’ and sets out on a journey to protect a mysterious girl named Marta. The sequel to the original Tales of Symphonia returns with remastered visuals and a dual audio track including the original Japanese voices and theme songs. Since the creation of the world, and of mankind, obeisance to the gods and their whims was the focal point of the lives of all who inhabit the lands created by the divine. However, as the gods disappeared from people’s daily lives, their power and influence began to wane, and cynicism and secularism replaced piety and belief. Amidst the world’s slow abandonment of the gods, a profoundly devotee and servant of the gods named Kinna infiltrated one the many prisons of the Waterfall Realm in hopes of finding one who would become a god. Encountering Magus, a prisoner who has spent his entire life incarcerated, she believes that she has found who she was sent to look for. Whether it’s your first time playing or you are a PAC-MAN expert, catch up on your PAC-MAN history! It’s fever time! PAC-MAN stars in a nostalgia-packed collection of the greatest PAC-MAN games of all time. PAC-MAN MUSEUM will include classic PAC-MAN titles as well as newer releases, allowing gamers to play through the evolution of PAC-MAN from his humble beginnings from 1980 through current hits like PAC-MAN Championship Edition and PAC-MAN Battle Royale. Purchase this PS one Classic and play it on both your PS3, PS Vita and PSP! Greece has gone downhill since Hades kidnapped Persephone. Help rescue her and return Greece to the happening place it used to be! Download Crackle to watch Hollywood Movies & hit TV Shows for free on PS Vita. Crackle delivers full-length, uncut movies and shows in the genres you crave: Action, anime, comedy, crime, horror, music, thriller and sci-fi. No signup, no fees, just hundreds of Movies & TV Shows such as Seinfeld & Pineapple Express. Additional movies added frequently. Last Tuesday, we came to you and asked what you’d like to see streaming most on Redbox Instant by Verizon’s The Playlist collection for your PS3 and PS4. Critic’s Pick was selected as the winner by the PlayStation Community. Check out the category in the Redbox Instant by Verizon app to see which movies we included. Watch Redbox Instant by Verizon on both PS3 and PS4.